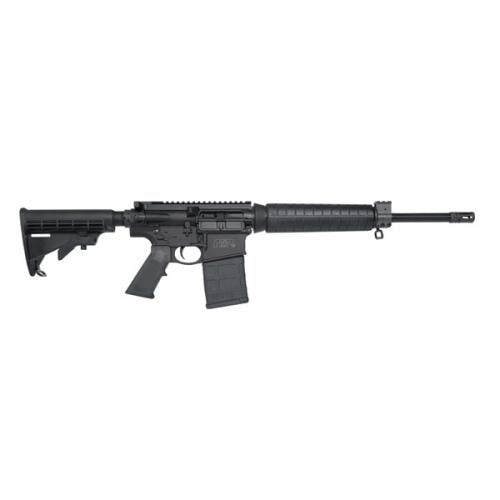 S&W M&P 10 Sport 7.62NATO 16"
M&P10 Rifles are versatile, easily accessorized, and suitable for a wide variety of recreational, sport shooting and professional applications. Engineered with 5R Rifling and 1/10 Twist, the M&P10 is as accurate as it is powerful. Making short work of long range, M&P10 Rifles keep you at the ready. Armornite® finish is a hardened nitride finish that provides: Enhanced corrosion resistance, greatly improved wear resistance, decreased surface roughness, reduced light reflection and increased surface lubricity. Armornite is used on many S&W® and M&P® products imparting a high level of protection internally and externally where applied.